The 70th Primetime Emmy Awards will air on September 17th, 2018. That means you have plenty of time to catch up on all of the shows and limited series you may have missed out on this year. Michael Che and Collin Jost are going to host the ceremony, which should be interesting. This super spooky dystopian drama finished up its second season in 2018. Based on Margaret Atwood’s most famous novel, it follows June or “Offred,” a woman who is forced to become a surrogate for an infertile couple after America falls to a religious totalitarian regime. This show is not an easy watch, but it’s definitely a deeply moving one. In 2018, it is suddenly more potent than ever. It’s not my pic for drama series of the year (even though it won last year), but I definitely think it deserves the nomination. 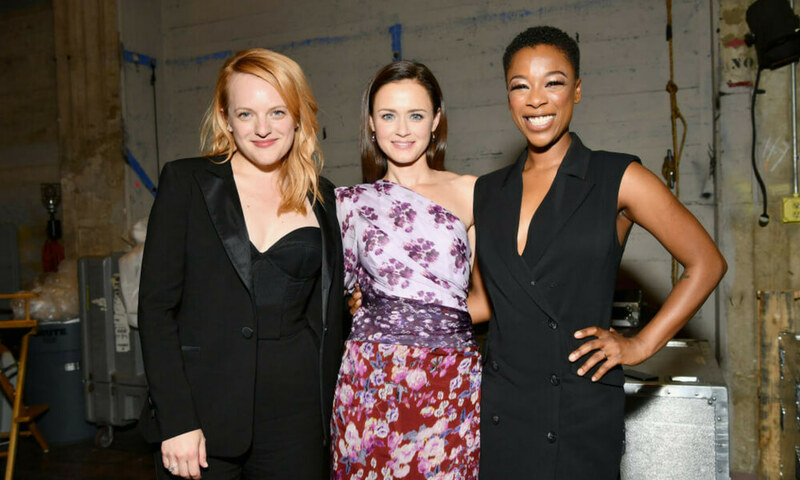 Elisabeth Moss is nominated for best actress in a drama series again this year for her work on this show. 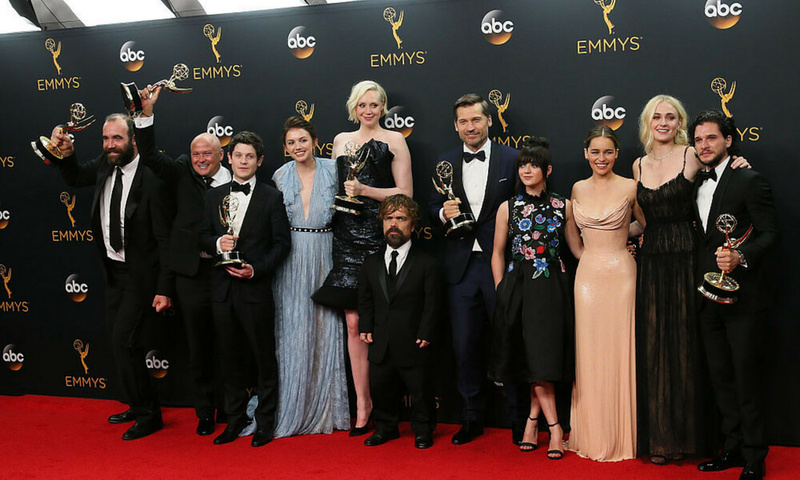 The Emmys just wouldn’t be complete without Game of Thrones. This fantasy series hasn’t really slowed down since it premiered in 2011. I have to say, the seventh and most recent season was pretty epic. This season had maybe the most intricate battle scene of all time, plus some amazing dragon action. Although I sometimes find the plotlines in this show predictable, there’s no arguing about its visual quality. This show is always a pleasure to watch. I don’t think it will win in this category though. Award shows like the Emmys don’t seem to favor fantasy series. Only time will tell, though. Last year, Sterling K. Brown won an Emmy for best actor in a leading role for his work on This Is Us. He’s nominated in the same category again this year alongside co-star Milo Ventimiglia. This show had us crying all season long. In the second season, which aired this year, we finally got to learn how Jack died, and it was as heartbreaking as we all expected. I think this could be the year for This Is Us. It’s a newer show that really hit its stride in the second season. It’s not my personal favorite, but it’s very Emmy-friendly. This spy thriller hit our TV screens in 2013 and ended its six-season run this year. 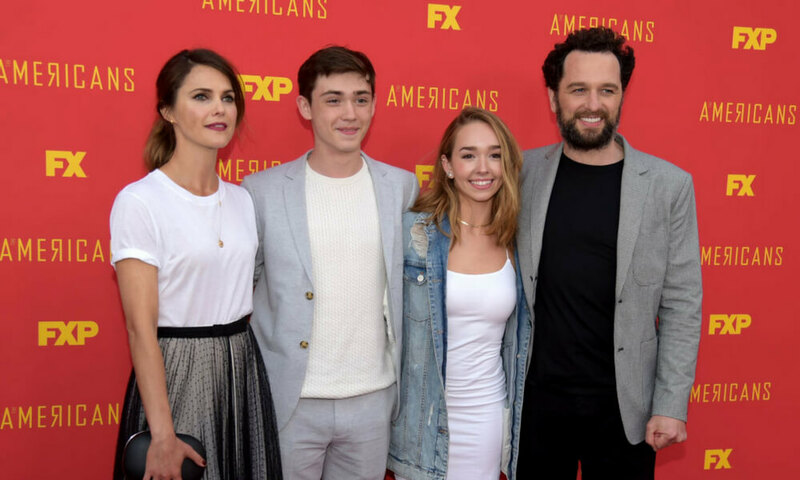 The Americans has quietly racked up eighteen Emmy nominations since it began. Because this show ended this year, Emmy voters may want to take this last chance to properly honor it with an actual award. A lot of people think that this show has gotten snubbed in past years. Both Matthew Rhys and Keri Russel are nominated for best lead actor and best lead actress, respectively. What would the Emmys be without Stranger Things? This show is a nostalgia bomb for people who grew up in the ’80s. It has everything — excellent CGI, sci-fi easter eggs, and, of course, Millie Bobby Brown. Trust me, this girl is going to be huge. She’s already huge, but I think this whole show is riding on her talent. Millie is nominated for best supporting actress in a drama series, and David Harbour, who plays Hopper, is nominated for best lead actor in a drama series. OK, it’s time for me to reveal my bias. I’ve got nothing but respect for MY best drama series of 2018. I am obsessed with Westworld. While I do think that the first season of this show was better than the second season overall, I also think that the eighth episode of the second season was maybe the best thing I’ve seen on television probably ever. Definitely my favorite episode of the series so far. Evan Rachel Wood, Ed Harris, Jeffrey Wright, Jimmi Simpson, and Thandie Newton are all nominated for acting Emmys for their work on this show. Where is Tessa Thompson’s Emmy nomination? She has surely been snubbed. I don’t think Westworld will win best drama series, but I really, really want it to. The Crown has been nominated for an Emmy before. 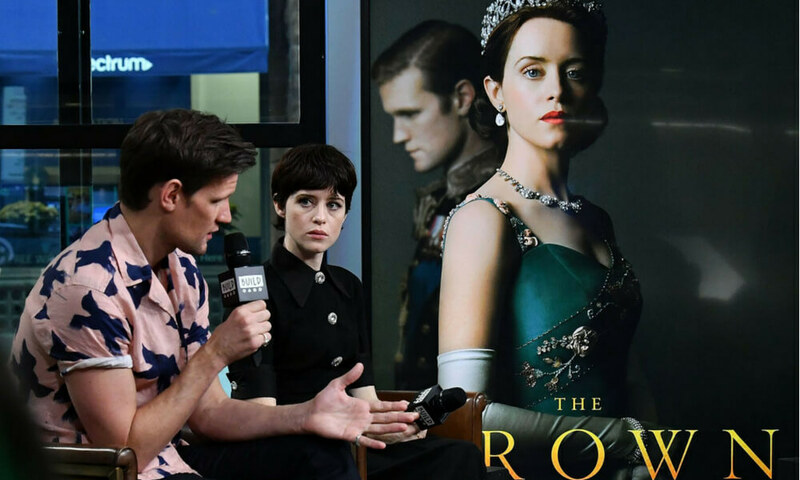 Last year, Claire Foy won a Golden Globe for her work on the show, and the show won a Golden Globe for best drama television series. The Emmys do seem to love a period drama, so this could be The Crown‘s year. 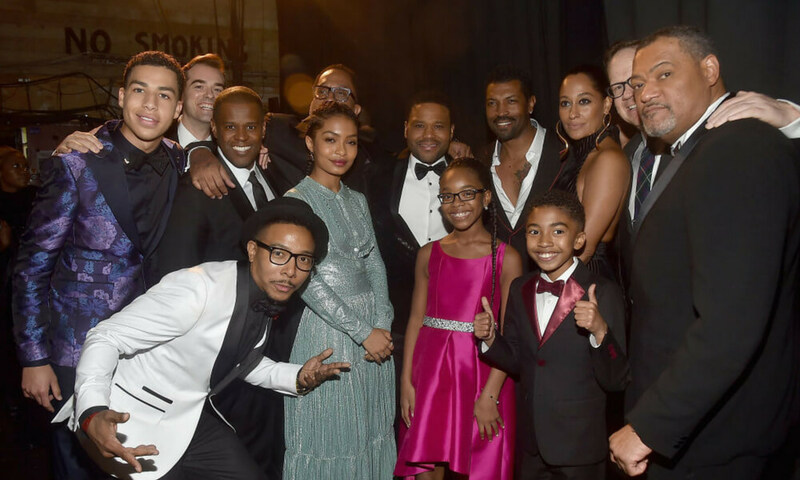 Black-ish premiered in 2014 and it was renewed for a fifth season in 2018. This show has been moving steadily along ever since its first season. For many of us, Black-ish was our first introduction to Tracee Ellis Ross, who is basically perfection in human form. She’s the daughter of Diana Ross, so how could she not be. 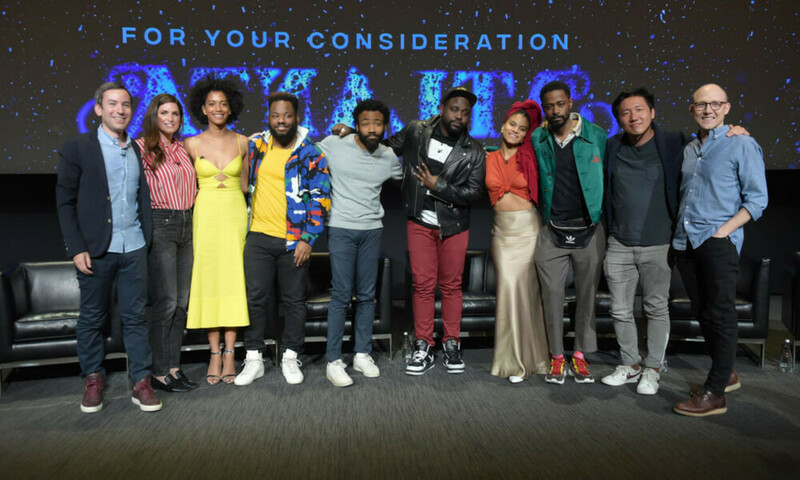 Anthony Anderson, Tracee Ellis Ross, and Wanda Sykes are all nominated for acting Emmys this year— Wanda Sykes for best guest actress in a comedy series. 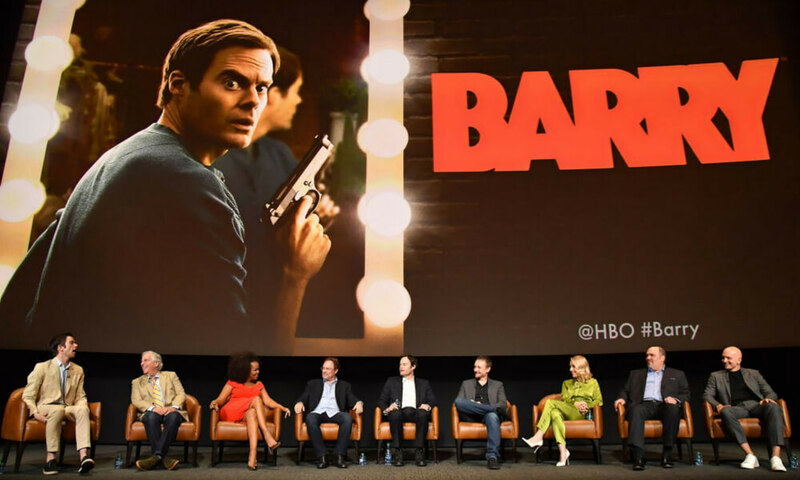 SNL alum Bill Hader co-created and stars in Barry, an HBO comedy series about a US veteran turned hitman who wants to stop killing and start acting. 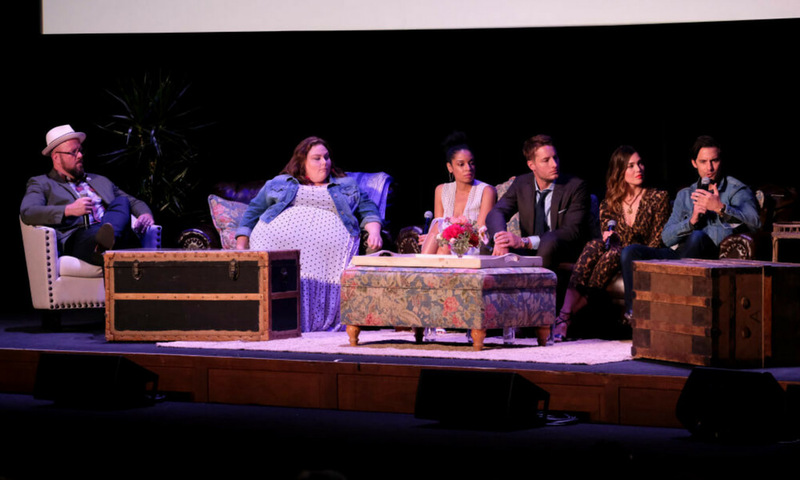 The series premiered in March of 2018, and in April HBO reported that they decided to renew the series for a second season. Both Bill Hader and Henry Winkler are nominated for acting Emmys this year for their work on Barry. This show is complex, dark, and funny. Hader is as brilliant in it as you would expect. This is the first year in a while that Veep isn’t nominated in the best comedy series category. Does that mean that new kid on the block Barry has a chance? Maybe. Raise your hand if you think Atlanta is going to win an Emmy for best comedy series. Everybody? Ok, sounds about right. Last year, Donald Glover (AKA Childish Gambino) won an Emmy for best actor. He’s nominated again this year, along with Brian Tyree Henry, Zazie Beetz (AKA the most beautiful actress alive), and Katt Williams. Yeah, Katt Williams was a guest actor on Atlanta. I have mixed feelings about this series. I deeply respect its artistry, but I never feel like I need to watch the next episode. Each episode sort of works as a standalone piece. I love anthology series (whattup Black Mirror), but Atlanta isn’t quite an anthology series. I’d be really happy if Atlanta won, but my hopes and dreams are riding on a series a little further down on this list. The Unbreakable Kimmy Schmidt premiered on Netflix in 2012. It has been renewed for a two-part final season, the first part of which premiered this year. 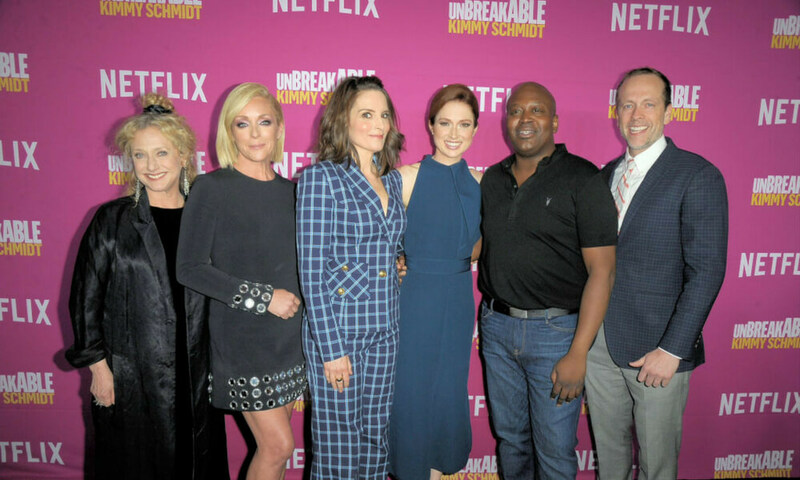 Tituss Burgess, who plays Titus Andromedon on the show, is the only Kimmy Schmidt cast member nominated for an acting Emmy this year. Honestly, Tituss is the best part of this show and I can’t wait to see what he wears to the Emmys. Kimmy Schmidt is not my pick to win best overall comedy series, but I do think that this show accomplished what it set out to do. Tina Fey keeps killing it and I’m excited to see what she does next. 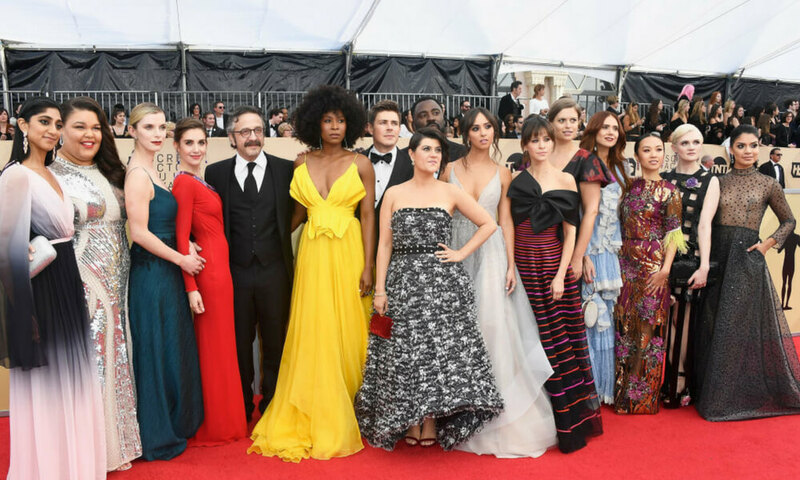 GLOW is another Netflix series that has captured some Emmy attention. Betty Gilpin is the only actor on the series who is nominated for an acting Emmy this year, though. I think Gilpin’s nomination is well deserved, but where is Marc Maron’s nomination at, Emmys? My boy has surely been snubbed. This show about the “gorgeous ladies of wrestling” (G.L.O.W., get it?) really is a joy to watch. I could literally watch Alison Brie do anything. Again, this show is not my pick for best comedy series. I think both Atlanta and Barry are better overall. Feel free to disagree with me in the comments. 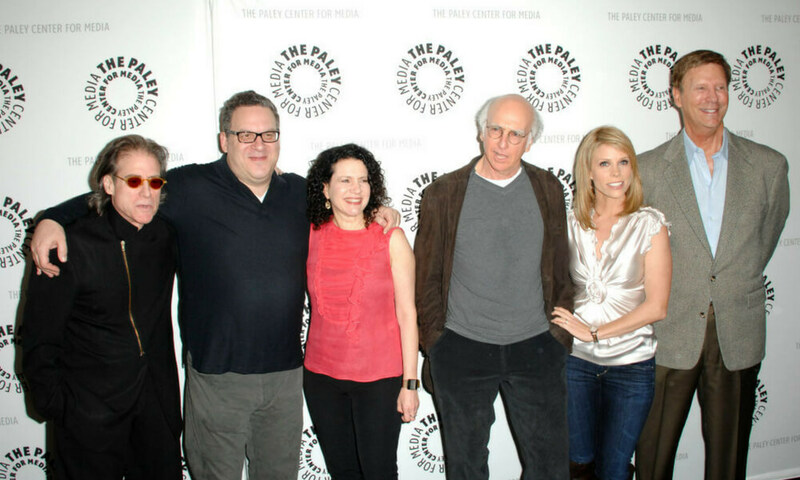 In 2011, after an eight-season run, Curb Your Enthusiasm went on an indefinite hiatus. The series finally returned for a ninth season in 2017. 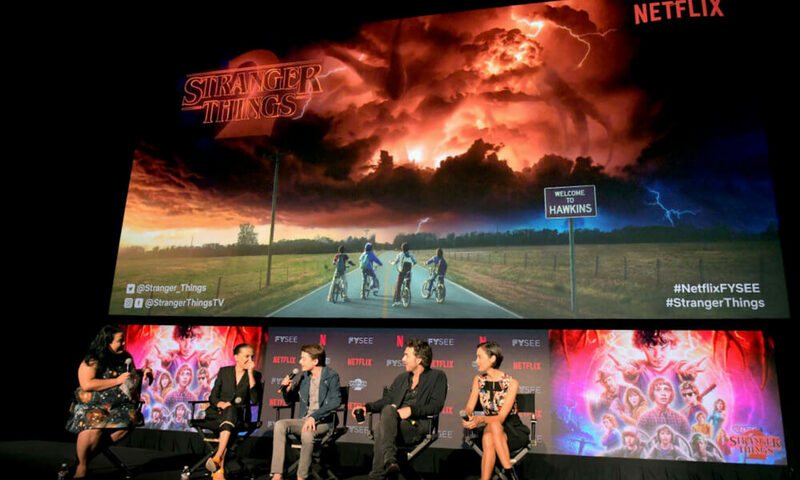 The tenth season of the show started production in 2018. Listen, this show is formulaic. That’s sort of its thing. You can pretty much always guess how each episode is going to turn out. This show is still super fun to watch, though. Actors mostly play fictionalized versions of themselves, and J.B. Smoove is in it, which is a blessing. This year, Larry David is nominated for best actor in a comedy series, and Bryan Cranston and Lin-Manuel Miranda are both nominated for their guest acting work on the show. I love this series so much. 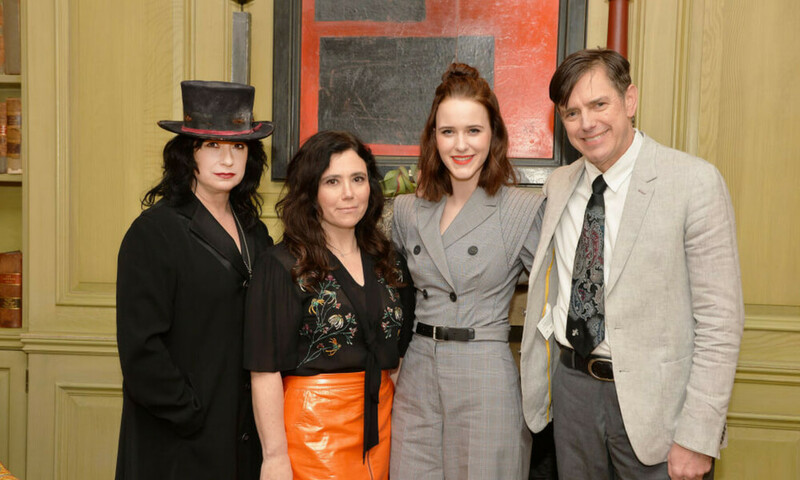 The Marvelous Mrs. Maisel is definitely my pick for best comedy series. First of all, both the show and Rachel Brosnahan won a Golden Globe this year. This show deserves all the awards. Emmys, Oscars— I know it’s not a movie, but who cares? If you want to be transported back to 1950s New York, and you’re into both laughing and crying, you need to watch this show. Its production design alone is breathtaking. Rachel Brosnahan, Tony Shalhoub, Alex Borenstein, and Jane Lynch are all nominated for acting Emmys for their work on The Marvelous Mrs. Maisel. 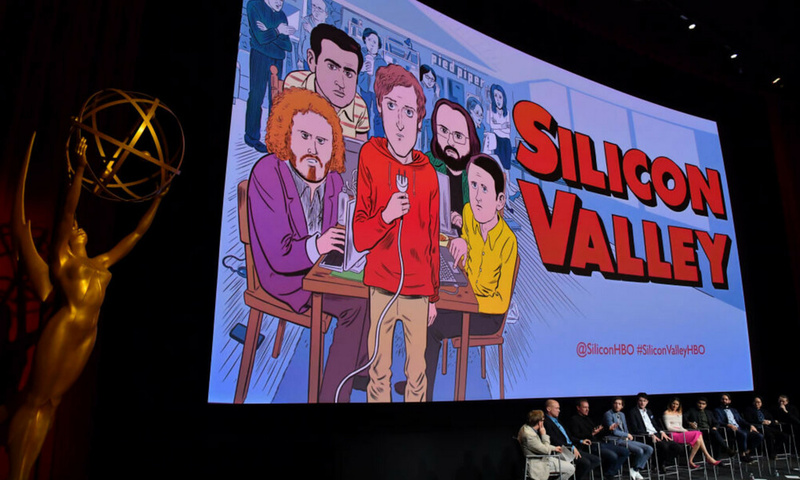 Does Silicon Valley deserve an Emmy nomination for best comedy series? I think so. Does it deserve to win? Not when Mrs. Maisel and Atlanta are both also nominated. Silicon Valley is a good show, but I don’t think it’s the best show. I do love Kumail Nanjiani though. That guy is having a very good year. 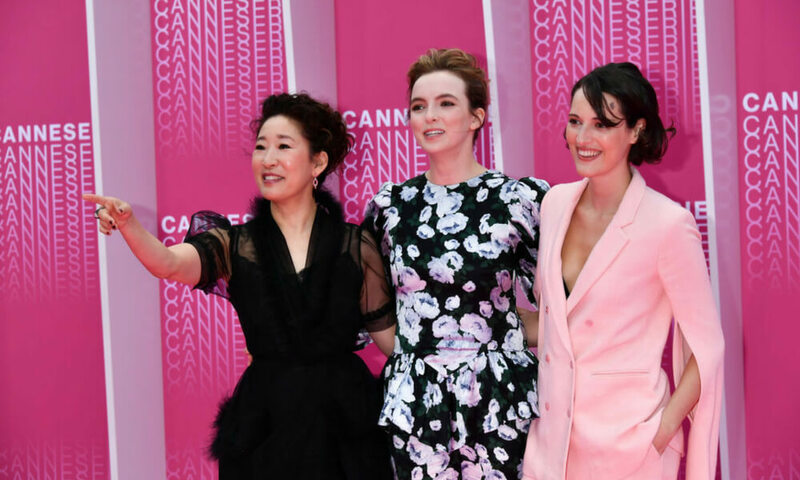 Sandra Oh was nominated for best lead actress in a drama series for her work on Killing Eve. This makes her the first woman of Asian descent to ever get an Emmy nomination in that category. Phoebe Waller-Bridge, the creator of Killing Eve, was nominated for outstanding writing for a drama series. Sandra Oh is fantastic in Killing Eve. I do think that she could win, however, the role of Eve didn’t require the acting acrobatics necessary for roles like Dolores in Westworld, for example. Also, where is Jodie Comer’s nomination? I love Sandra Oh, but Judie absolutely killed it (no pun intended) as Villanelle. 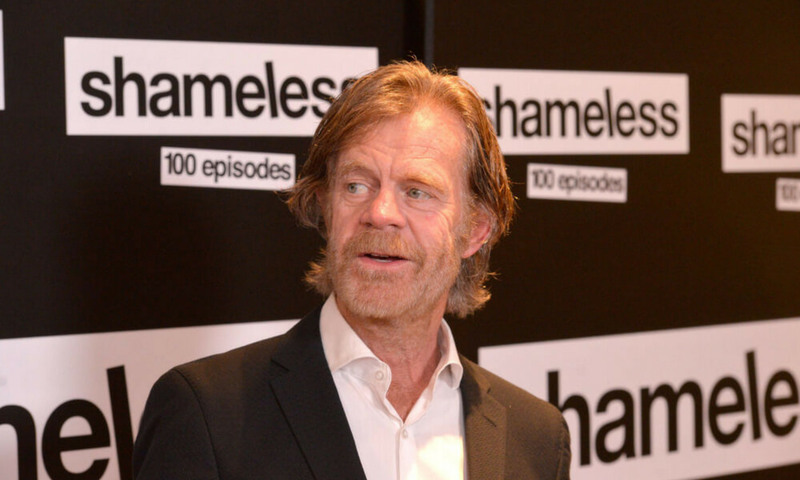 William H. Macy is nominated this year for outstanding lead actor in a comedy series for his work on Shameless. This is the only Emmy nomination for Shameless this year. That’s right, Emmy Rossum isn’t nominated for an Emmy. You’d think with a name like that, she’d be a shoo-in. William H. Macy has been nominated in this category almost every year since the series premiered in 2011. Will this year finally be his year to win? Probably not, but I like seeing his face at the awards anyway. This year, Issa Rae is nominated for outstanding lead actress in a comedy series for her work on HBO’s Insecure. This is the only Emmy nomination for Insecure this year. The show is a comedy-drama series based on Issa Rae’s web series, Awkward Black Girl. Issa was nominated for a Golden Globe for her acting work on this show back in 2017, but she lost to Rachel Brosnahan. I don’t think this year is Issa Rae’s year to win, but I am very happy that she’s nominated. Her show definitely deserves the recognition. If there was an Allison Janney fan club, I’d definitely be a member. I missed out on her West Wing years, but I fell in love with her through various indie films. Janney already has an Academy Award, seven Emmy Awards, a Golden Globe award, seven SAG awards… the list goes on. This year, Janney is nominated for lead actress in a comedy series for her work on Mom. Is Mom the best show that Allison Janney has ever been on? Definitely not. Do I still love her? Absolutely. Tatiana Maslany is nominated for outstanding lead actress in a drama series for her work on Orphan Black. Maslany plays a whole bunch of different clones on this show, which is basically the acting Olympics. This show is her, and she is the show. So I guess it makes sense that this is Orphan Black‘s only Emmy nomination this year. 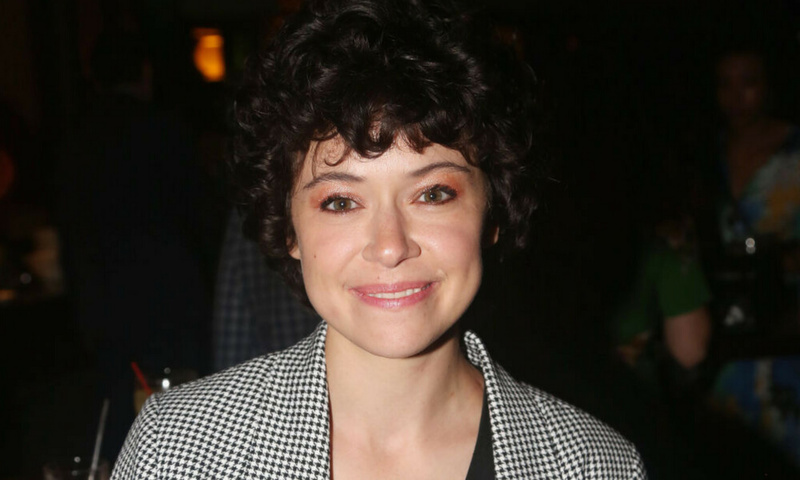 Maslany has been overlooked in this category in the past, but she was nominated back in 2015, and she actually won an Emmy in 2016. 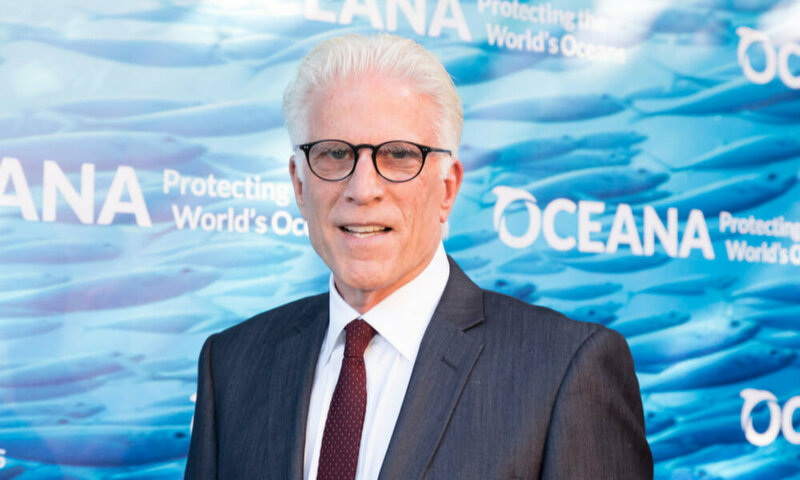 Ted Danson is nominated for best lead actor in a comedy series for his role on The Good Place. The show got one other Emmy nomination this year— Maya Rudolph is nominated for outstanding guest actress in a comedy series. The Good Place is a little Netflix series that packs a big punch. It’s super conceptual and philosophical, but it’s also fun and silly and colorful. Ted Danson is great in it. I don’t think he’ll win the Emmy this year. He’s up against Bill Hader, Donald Glover, and Larry David. Jason Bateman is nominated for lead actor in a drama series for his work on the Netflix series Ozark. 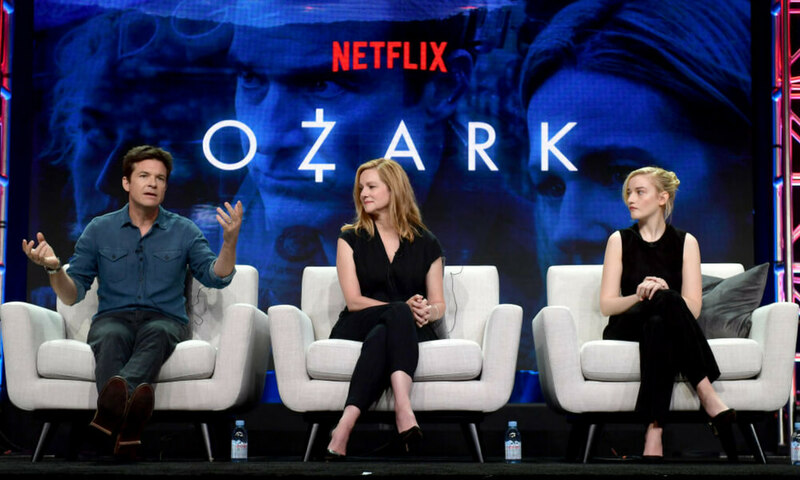 I have some feelings about Ozark. It was a good show. I binged the whole thing. The problem with binging is that you retain much less of the information conveyed on-screen. I don’t remember many of the details. I do remember that the show was similar to Breaking Bad and Bloodline. I don’t know if it added anything new or exciting to that genre. Jason Bateman was good, but not exceptional. I think it’s a good thing that this show didn’t get nominated. Again, if you disagree, come after me in the comments. 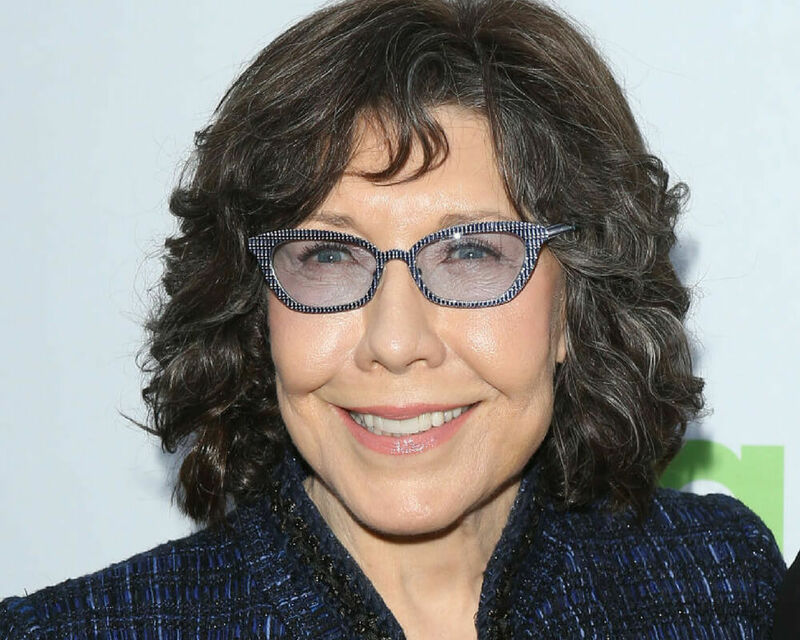 Lily Tomlin is nominated for lead actress in a comedy series for her work on Grace and Frankie. This is Grace and Frankie‘s only Emmy nomination this year. I’m not sure why Lily Tomlin was nominated and not Jane Fonda. I think they both performed equally well in this Netflix series. I don’t think Lily really has a chance in this category though. Not because she isn’t a great actress (she is), but because the other acting roles in this category are so much more complex. I. Love. Pamela. Adlon. Her show, Better Things, is a verifiable masterpiece. I have laughed and cried watching this show. It is absolutely beautiful. It’s surreal and emotional and lovely and unique and we should protect it at all costs. I want to write a ten-page essay about this show and how much I love it. Why it wasn’t nominated for best comedy series is beyond me. I do hope that Pamela Adlon wins. She’s up against some great actresses in the lead actress in a comedy series category. I love Rachel Brosnahan, and I think she’ll probably win, but Pamela Adlon’s show deserves the attention more. Everybody has a different opinion about which Black Mirror episode is best. 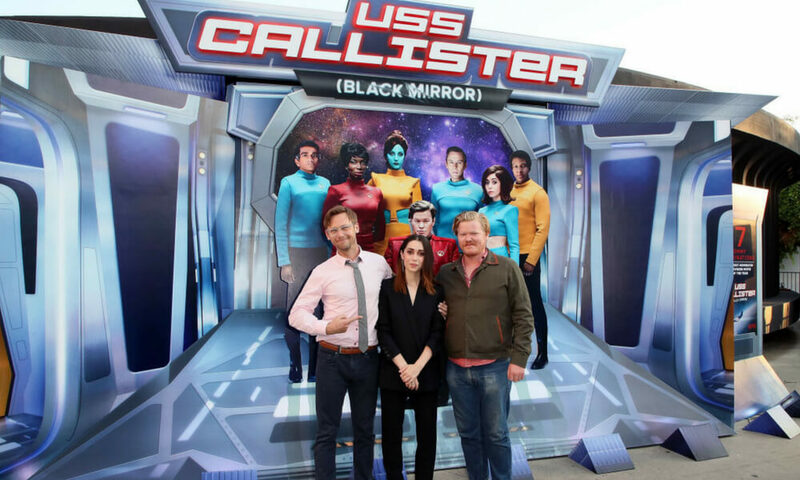 Before “USS Callister “came out, I was a strong supporter of season 1 episode 1 (you know, the one with the pig). That’s the episode that made me want to watch the rest of Black Mirror. I think it’s one of the best things Charlie Brooker has ever made and I don’t agree with people who say you should start with the second episode. Let’s move swiftly along and discuss the nominees in the outstanding limited series category. First up, The Assassination of Gianni Versace: American Crime Story. This true crime anthology television series is stirring up all kinds of conspiracy theories. 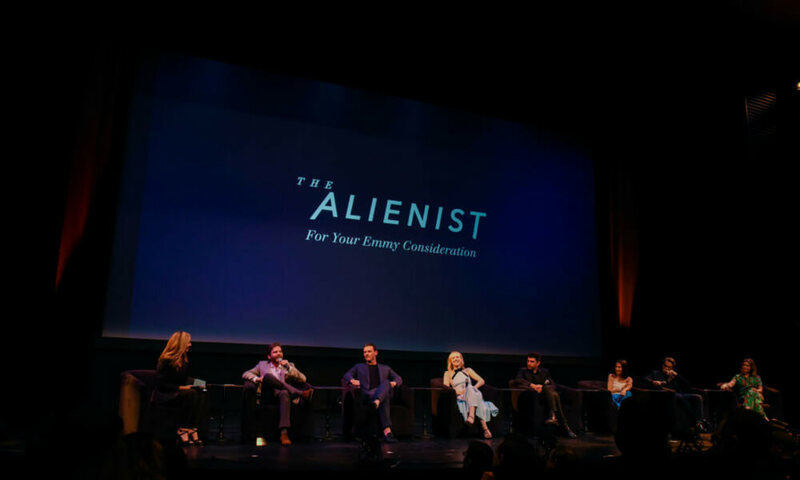 It’s been receiving rave reviews from critics and it received the most nominations of any program at this year’s Primetime Emmy Awards. Basically, it’s going to win. It’s going to win a lot of Emmys. Prepare yourselves. Darren Criss, Ricky Martin, Edgar Ramirez, Finn Wittrock, Penelope Cruz, and Judith Light are all nominated for acting Emmys. Patrick Melrose is a five-part miniseries starring Benedict Cumberbatch as the title character. The series is based on semi-autobiographical novels by Edward St Aubyn. Benedict Cumberbatch is nominated in the lead actor in a limited series category for his work on this show. 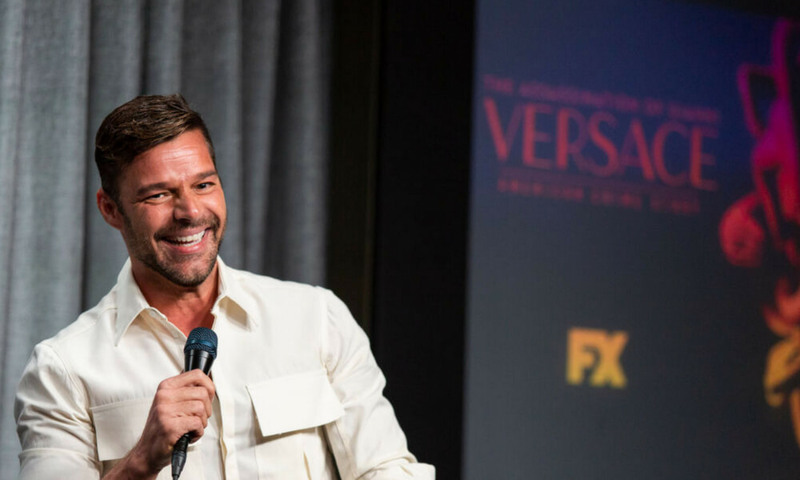 I don’t really think this series has a chance against The Assassination of Gianni Versace, but I guess other miniseries need to be nominated too. It’s a worthy opponent, and it’s nice that it’s getting some recognition. This American period drama is based on the novel of the same name by Caleb Carr. It stars Daniel Bruhl, Luke Evans, and Dakota Fanning. They’re a team of investigators hunting down a serial killer who is targeting young children. None of the actors in the series have been nominated for acting Emmys this year. Dakota Fanning was nominated for a Saturn Award for her work on the series, but she lost to Reah Seehorn for her work on Better Call Saul. Genius: Picasso received two Emmy nominations this year— one for outstanding limited series and one for Antonio Banderas in the lead actor in a limited series category. Genius is an anthology series that airs on National Geographic. The first season followed the life of Albert Einstein, the second season followed Pablo Picasso, and the third season, set to air in 2019, will follow the life of Frankenstein author, Mary Shelley. The series was nominated for an Emmy award last year, but it lost to Big Little Lies. 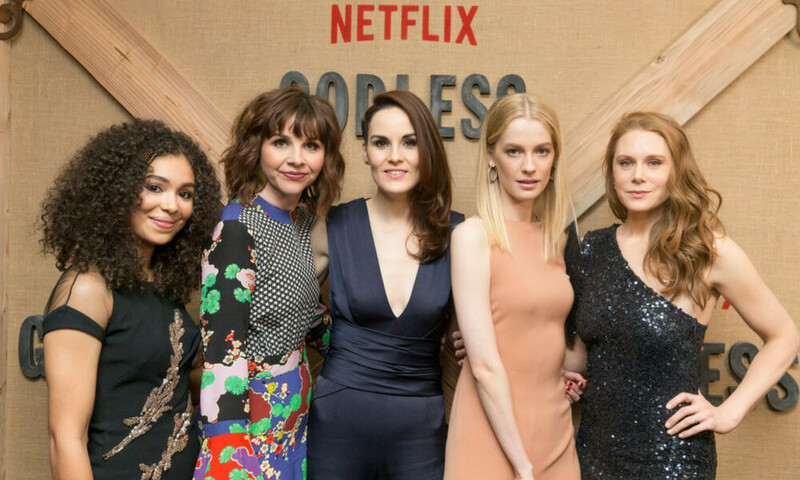 The Netflix series Godless racked up three Emmy nominations this year— one for outstanding limited series, one for Michelle Dockery in the lead actress category, and one for Jeff Daniels in the supporting actor category. This show is a true western. It was nominated for three Critics’ Choice Awards, a Directors Guild of America Award, and a GLAAD Media Award. Will it win the Emmy? Probably not. It’s nice to see it get recognized, though. It’s been a good year for Netflix.